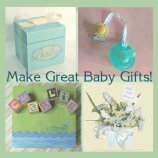 I just love it when you send me photos of the handmade baby gifts and crafts you've created from the tutorials, homemade baby gift ideas, and free baby patterns on this site. I can't keep all this cuteness and inspiration to myself. So I'm putting all of your awesome photos and letters into this gallery so that we can all 'ooh' & 'ahh' over them. Getting notes and photos from you all just makes my day... please keep 'em coming! I just love seeing all those happy babies. Come join in the fun! 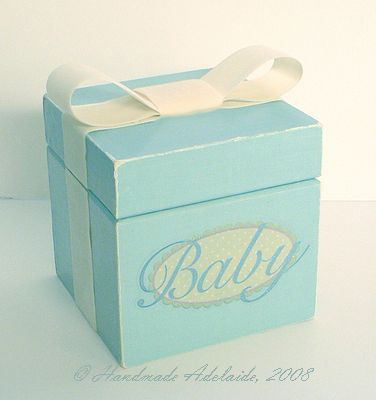 Upload your handmade baby gift photos to the Handmade-Adelaide-Baby Flickr group. 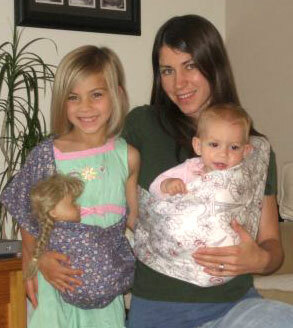 I just wanted to send you a picture of my daughter and I with our new slings made with your pattern. My daughter was so excited at the first sling that I made that she picked out her own fabric so she could have a sling too! We have been having a blast "matching" and I have been able to make two more slings as gifts. I have never really sewn before but I am excited that even with my limited skill I can end up with something that is both beautiful and useful! 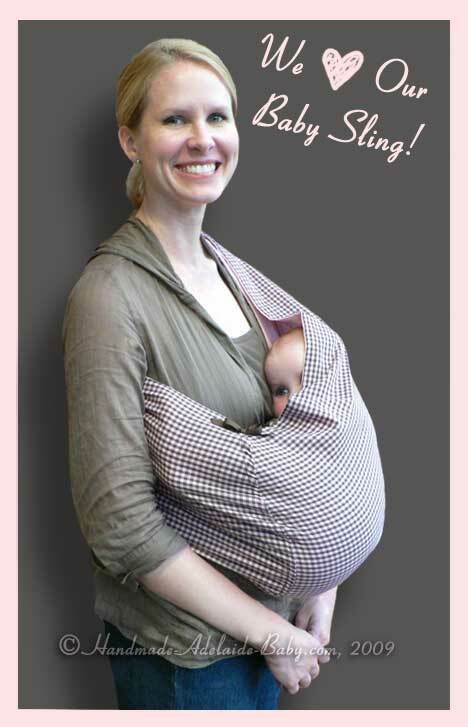 Thank you again for the baby sling patterns. I look forward to making many more things from your web site. I am so in love with these handmade baby gifts! 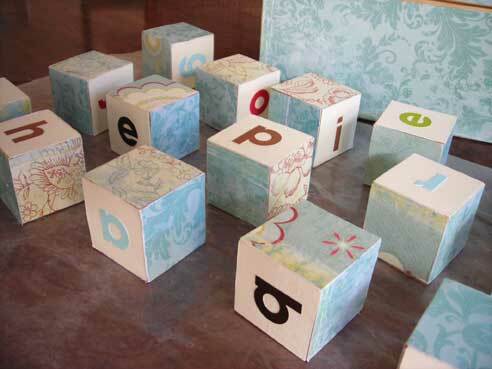 Laura S. created these baby blocks & matching handmade keepsake box. 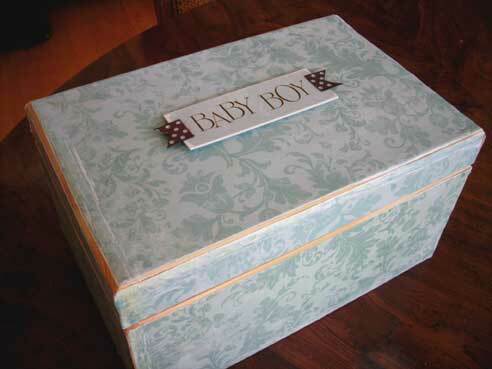 "I decided not to paint the box, but leave it more rustic looking. I think I'll also write something inside the box. It's for my new nephew! Thanks again! " 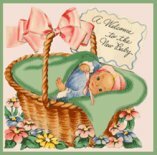 Discover the best free baby cross stitch patterns, homemade gift basket ideas, free baby patterns and much more right here on Handmade-Adelaide-Baby.com!